Oatmeal is one of the types of food worthy of its superfood title. It has been proven beneficial not only when consumed but also when used as part of a skincare regimen. Oats are a great source of vitamins and nutrients. They are filled with antioxidants that contribute to heart health, reducing the risk of heart diseases. Oats are also rich in fiber to aid in digestion. Oats are also powerful sources of nutrients that nourish the skin. They contain saponins, compounds that are considered natural cleansers that can help unclog pores and exfoliate and purify the skin. This is one of the main reasons why oats are ideal ingredients to mix into soaps, body washes, and facial cleansers. Here are a few oat-based products that are worth trying. 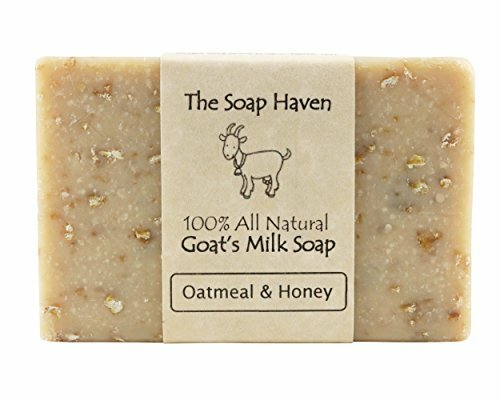 The Aspen Kay Oatmeal Milk and Honey Soap Bar is a great bath soap option for those with sensitive skin. Each bar is powered with milk and honey. Milk has potassium, which hydrates the skin, while honey is a natural antibacterial ingredient that can help with inflamed or irritated skin. Each soap is handmade and is made of organic and skin-friendly ingredients such as shea butter, olive oil, castor oil, and sunflower oil. These oils are rich in vitamins such as Vitamin A that encourages skin cell regeneration to firm up and smoothen the skin. Other have experienced tightening and drying of the skin after use of this soap. Some have found its scent a bit strong and perfume-like. The Soap Haven All-Natural Oatmeal Soap is a good option if you have easily-irritated skin or experience redness or flushing. This is made of purely natural ingredients, including fresh goat’s milk, which has lactic acid that helps the chemical exfoliation of the skin to make it smoother. Goat’s milk also has selenium that can aid in protecting the skin from sun exposure. Combined with oats and honey, this bar of soap can be used to soothe the skin and give gentle exfoliation. As it is made without fragrances, it can be used by those with sensitive skin or skin conditions like eczema. Click here to read Amazon reviews by eczema sufferers who bought this soap. As it is free from artificial fragrances, others have noticed its strong goat’s milk scent, which may not be for everyone. Some have found this a bit drying when used for the face. 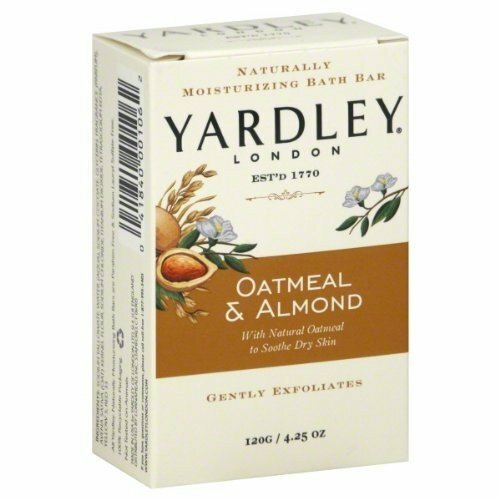 The Yardley Oatmeal and Almond Bar Soap is a moisturizing and exfoliating soap that can help in treating dry and flaky skin. It can help control and calm skin irritations as it is gentle on the skin. This soap does not leave the skin with a thin film of oil or residual stickiness and rinses away quickly. It lathers quite nicely, removes dirt and oil on the skin well, and gives the skin a squeaky clean feeling after shower. It also has a subtle oatmeal scent that may be ideal for those who do not prefer heavily-scented soaps. The almond ingredient is only present as a fragrance and not an actual ingredient. Some have found the oatmeal bits of the soap a bit too coarse for their liking. 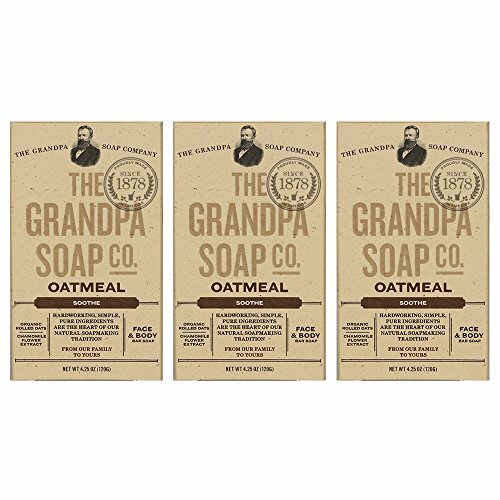 The Grandpa Soap Company Oatmeal Soap is a good option for an exfoliating, moisturizing, and brightening soap. It has rolled oats that can help in getting rid of dead skin cells to make the skin smoother. This soap also has chamomile flower that can aid in lightening dark spots or acne marks and treating breakouts as it is an anti-inflammatory and antibacterial soap. This oatmeal soap also soothes irritation caused by extremely dry skin and is gentle enough to be used for the face and the body. It is also made through cruelty-free formulas and is free from artificial colorants and fragrances. Others have found the rolled oat bits too ground up to be able to effectively exfoliate. 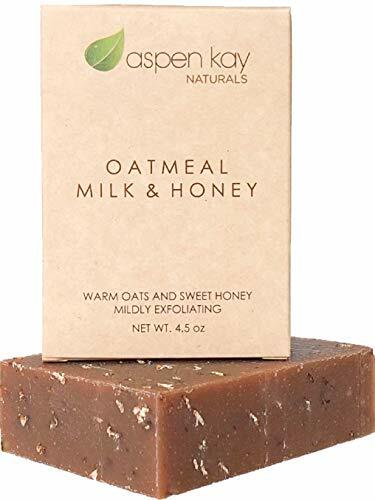 Among all the mentioned oatmeal soap options, the Aspen Kay Oatmeal Milk and Honey Soap Bar just may be the soap worth trying out and keeping in your stash. Its multiuse and gentle formulation makes it a good cleansing product for both the face and body. Also, because of its honey content, it can serve as an anti-bacterial and calming cleanser for troubled skin. Moreover, it has the combined benefits of healthy and nourishing oils, milk, and shea butter that rehydrate the skin, aid in cellular turnover for smoother skin, and lock in the moisture. Please check out our posts on other great Ayurvedic soap ingredients, we also tackle each ingredient individually and give recommendations out. We cast the limelight on the best turmeric soap, the best neem soap, the best oatmeal soap, the best sandalwood soap, and the best Multani Mitti soap! Do you know other soap ingredients that are natural and great for the body? Share your thoughts in the comments below!